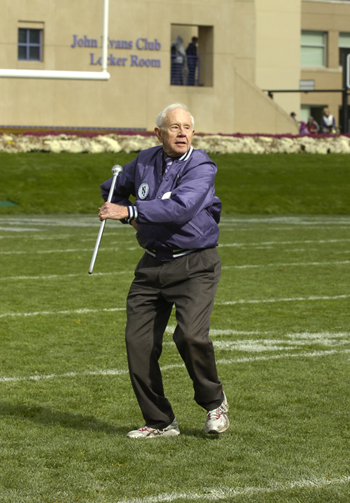 OCTOBER 3, 2013 — EVANSTON, ILL. — It will be a busy homecoming weekend for the Northwestern University "Wildcat" Marching Band, with lots of opportunities for fans to see and hear the band in Evanston and on the air across the country. 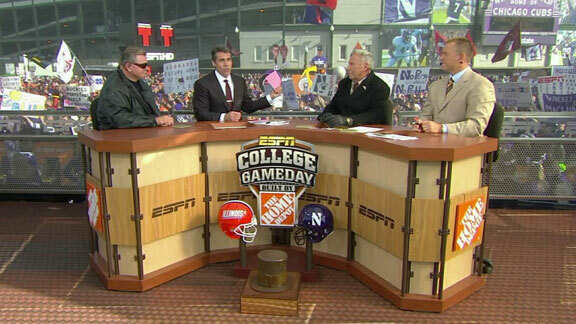 The broadcast of ESPN’s popular College GameDay from Northwestern University’s Evanston campus this Saturday, Oct. 5, adds great momentum both to the University’s Homecoming festivities and to the success of the University’s athletics program. 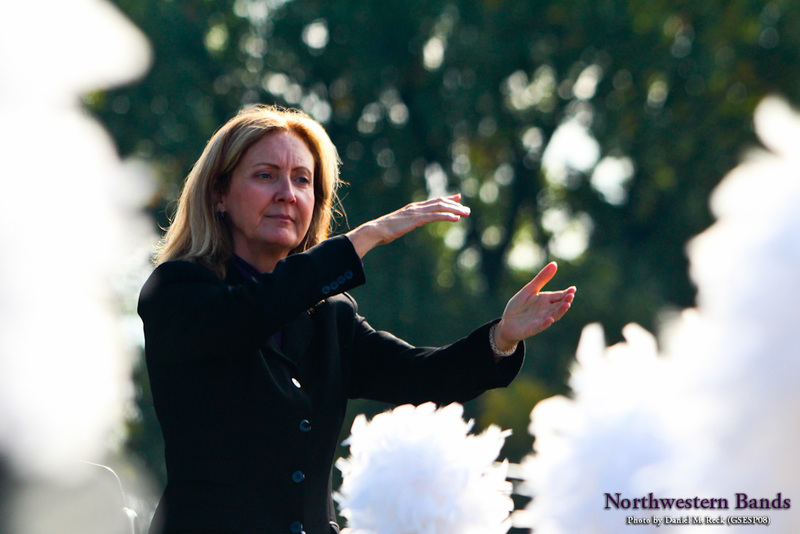 The Wildcat Band will be on hand during the show, which will preview Saturday night's match against Ohio State. 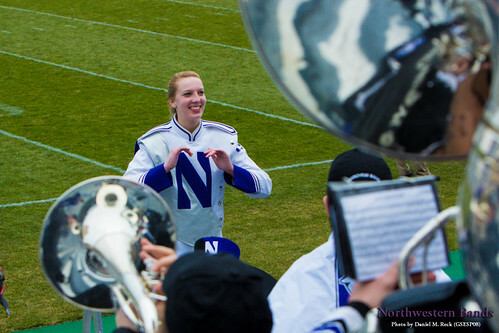 Read more: Wildcat Band Sets Homecoming Beat on ESPN, ABC, "Mike & Mike"
Evanson, Ill. — "Mallory Thompson's first musical memory is singing with her older sister when she was maybe 3 years old," writes William Hageman in his recent article in the Chicago Tribune about Northwestern University's director of bands. 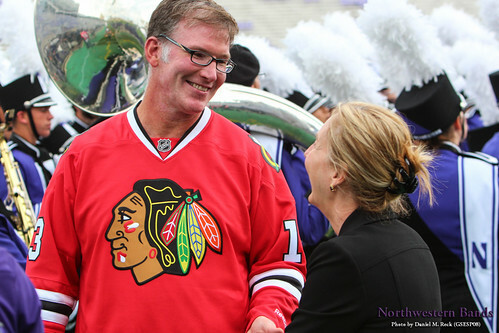 The article features excerpts of an interview with Thompson after she rehearsed Northwestern's acclaimed Symphonic Wind Ensemble for the university's commencement exercises.